Save the date!! BYNA Summit 2017!! 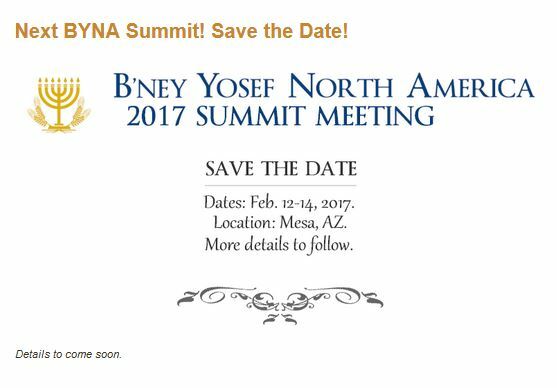 This entry was posted in A Thought..., B'ney Yosef North America and tagged Bney Yosef, Exciting, gathering Israel, lost tribes, Mesa AZ, Summit. Bookmark the permalink.